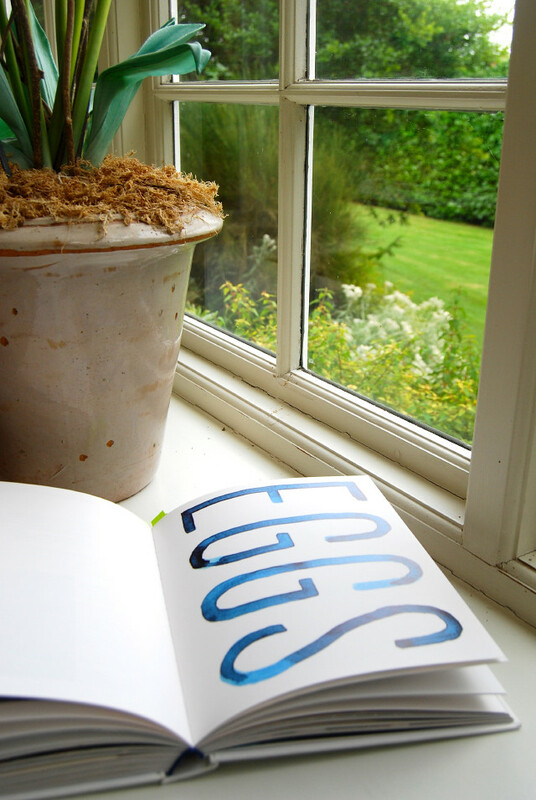 Today I want to introduce you to my favourite cookbook of 2013. 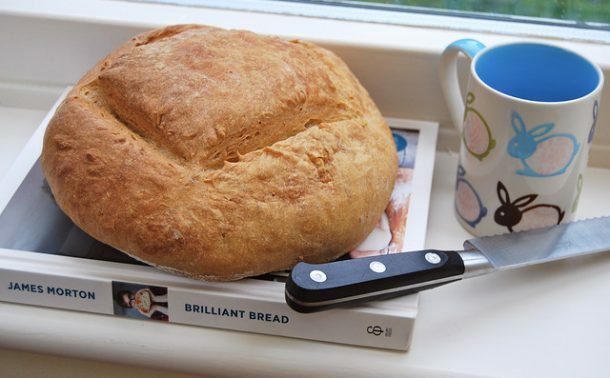 (Okay, so technically it is joint with Brilliant Bread, but that can be classed as a baking book!) 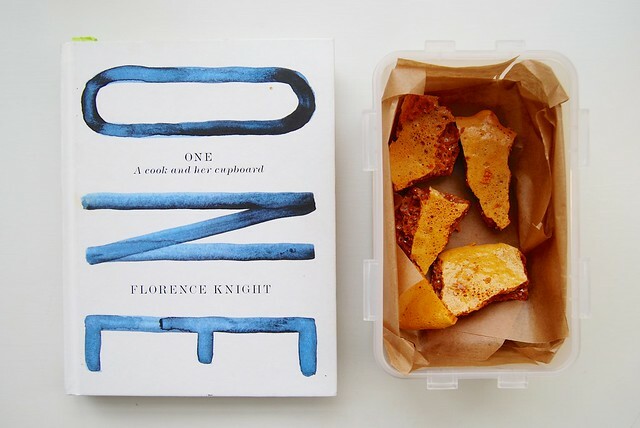 When I raved about my meal at Polpetto in Soho in April under head chef Florence Knight I was already head over heels for the chef because of her cookbook which has come with me to every kitchen I’ve occupied since getting it: One: A Cook and Her Cupboard. As you can probably tell from these photos, I’ve already bookmarked most of the book as things I want to try, and it is already starting to get stained and worn in in the best possible way. I’ve also cooked so, so much from it again and again, which is rare for me as I am always testing so many different recipes and I own so, so many books. Her Calves Liver in Vinegar & Red Wine is one of the best, most satisfying suppers I’ve ever made for myself, and ever since I made her Marmalade-Roasted Chicken Legs (delicious, the only reason I have not made them again is I hate washing up!) 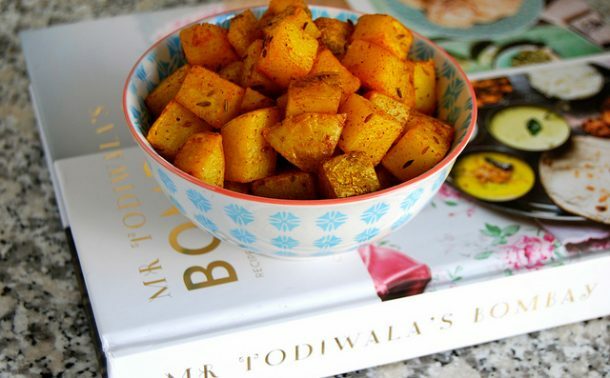 and Squash, the way she roasts the butternut squash with coriander seeds, chilli and a dash of stock has totally revolutionised the way I approach the vegetable. While I had already done the theory in the classroom, when I first went to make mayonnaise in my own kitchen it was her recipe I turned to for a bit of guidance, and her Panzanella formed the base for what later evolved into my personal recipe I shared as part of my Borough Market column. 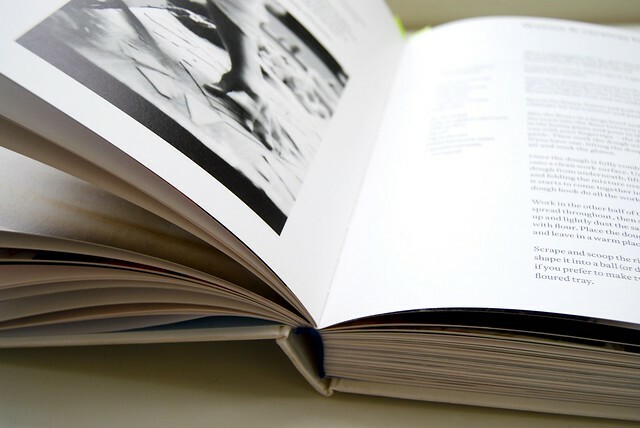 The book is built around a brilliant, and very simple concept. 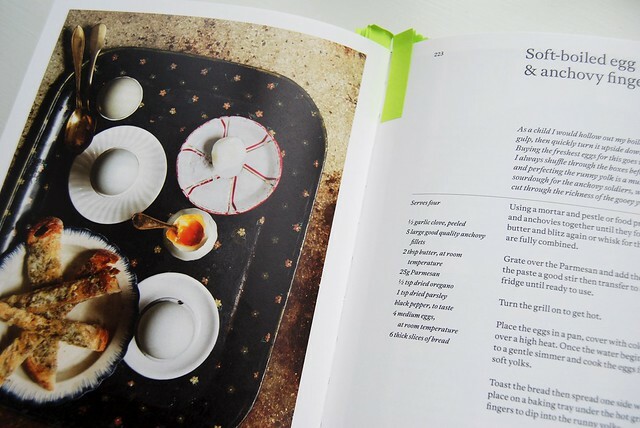 Every recipe is all about using one of ten kitchen cupboard staples (olive oil, flour, mustard, vinegar, salt, ketchup, nuts, eggs, honey and chocolate), and the result is a beautifully photographed and typeset book full of classic dishes that morph into modern and exciting ingredient pairings, where the traditional Italian meets the British kitchen. 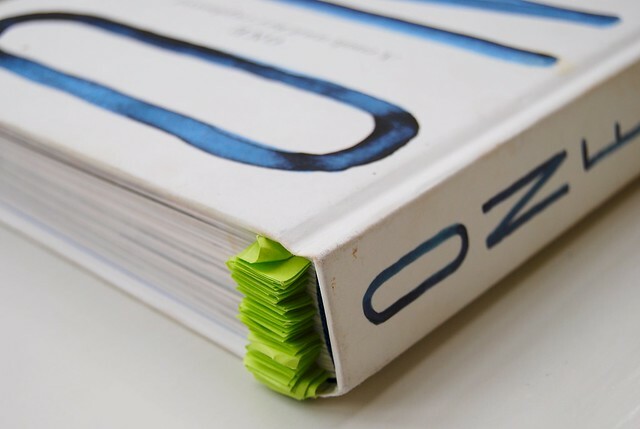 You must be wondering what are marked out in some of those little green tabs peeking out the top of the book, so before I move onto the recipe from the book I’ve chosen to share with you all, I thought I’d throw out a few of the recipes I’m rather looking forward to making from the book. Just a small selection: Poached Rabbit in Olive Oil with Pink Fir Potatoes, Olive Oil, Chocolate & Orange Cake, Polpettine, Burrata, Pickled Beetroot & Rhubarb, Braised Haricot Beans & Lardo, Mussels, Cannellini Beans & Wild Garlic, Treacle Mackerel, Bay Salted Caramel, Ketchup Chocolate Cake with Creme Fraiche Ice Cream, Coddled Egg & Onions, Hare Ragu with Pappardelle and Chocolate & Honey Tart. See what I mean? 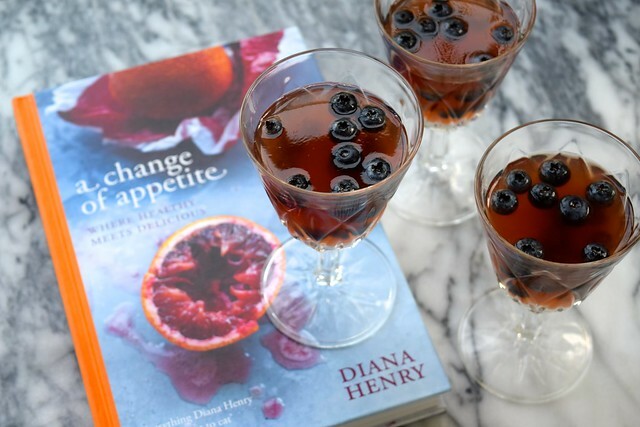 On a rainy Tuesday afternoon when I was up to date with all my work, and did not much feel like doing any housework I flipped through One in a bid to find a recipe for something sweet I could alleviate my Pathetic Fallacy with. 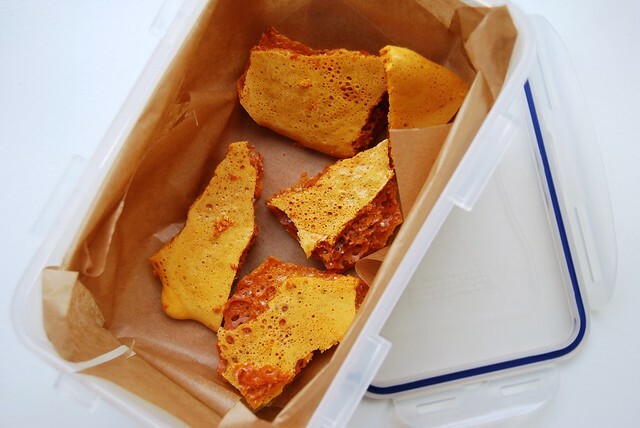 I settled on her recipe for Hokey Pokey in the honey section (both the Cornish and Australian word for Honeycomb) in the honey section, partly because I’d never made it before, and also because it looked so much easier than any other honeycomb recipe I’d ever come across. 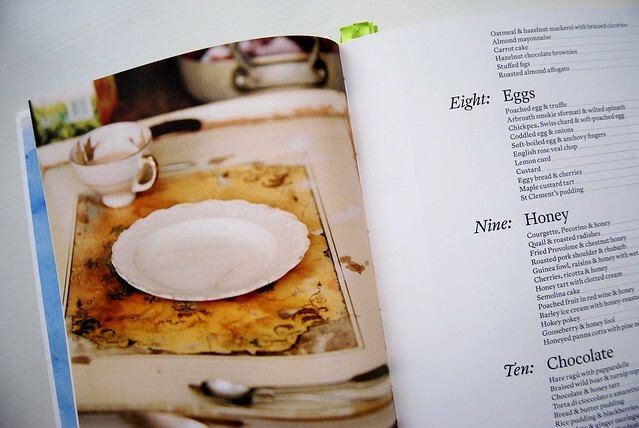 This recipe makes a small sheet and I have not changed the recipe at all from Florence’s original quantities; it is absolutely perfect as is. Line a baking tray with deep edges with greaseproof paper or baking parchment. Don’t cut it, just fold it into the corners; it should be liquid tight! Combine the honey and golden syrup in a large saucepan and pour the sugar over the top. Set over a low to medium heat and allow the sugar to dissolve. You can stir it occasionally, but according to the book it you do this the mixture might go grainy. Allow to bubble away until the mixture has gone a deep terracotta colour, and quickly whisk in the bicarbonate soda. The result will be lots of quick frothing, and one of my favourite reactions I’ve ever had happen in my kitchen. The moment the mixture is combined quickly pour it into the tray and dunk the pan, whisk and spoon into water. Leaving your equipment in the sink to soak like this to dissolve the sugar is the only easy way for washing up later, trust me on this! Allow the honeycomb to cool completely before breaking up into shards. Store in a air tight container, layers separated by baking parchment or greaseproof paper for up to two weeks. Serve crumbled over homemade ice cream (it goes particularly well with my Eton Mess Ice Cream, if you happen to have made some of that and have it stashed away in the freezer) or dipped in melted milk chocolate. 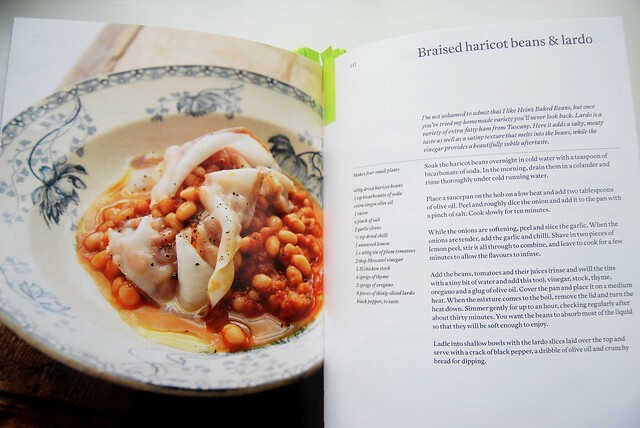 What was your favourite cookbook you received last year, and you’re still using just as much this year? Also, do any of you own One? 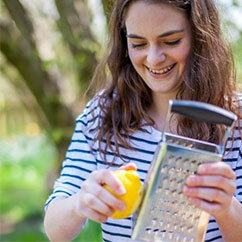 I’d love to hear what your favourite recipes are to help me decide what to make next!